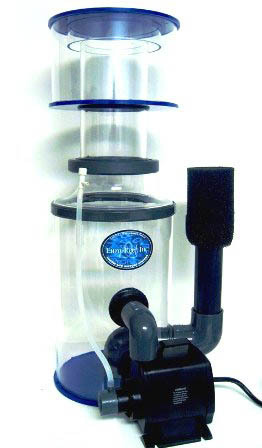 Euro-Reef is raffling off a limited edition Euro-Reef BBE180 protein skimmer valued at $300!! To enter the contest, please sign up for Reef Tools Live, create a profile with a photo, and then update your profile tank information. Once you have completed your profile, you may create photo albums, begin a reef blog, join a reef club, post items for sale, and much more. For each week of the month in which you are active (EX. post a photo, update your tank, enter a blog entry, join a group, etc), you will receive one token. If you are one of the many Reef Tools Live members, please continue to use Reef Tools Live and you will receive entries based on the same criteria. At the end of the month, all of your tokens will be entered into our raffles, and a winner will be selected. The first raffle will be held on December 1st 2009!! THERE WILL BE A NEW RAFFLE EVERY MONTH! So don’t wait, visit Reef Tools Live and SIGN UP NOW!! NOTE: You must have a profile photo and tank information to be included in this raffle. Must be a US resident. Winner will be announced on the “What’s New” page (you must be logged in to view). Prize must be claimed by winner within three (3) days of announcement. That is a great idea!!! I love it and I wanna win!!! Very cool of you guys to do this. Very Cool. Time to earn some tokens.